Throw blankets are country home staples, but every home could use the extra comfort these blankets bring to furniture and family rooms. Below, we feature five throws you can find at Sturbridge Yankee Workshop that will make the fall season just a bit cozier. 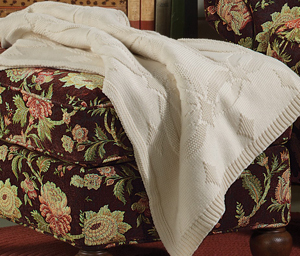 Our Apothecary Quilted Throw has been with us for many years, which has a lot to do with its seasonal versatility and vibrant solid color options. The pattern is inspired by vintage tin ceilings, and the lightweight cotton will keep you comfortable well past autumn. This throw is perfect for any room, and is part of our Apothecary Quilt Collection which complements many decorating styles. Also featuring a primitive design, the Wedding Ring Knit Throw brings classic elegance to any space with the ivory colored fibers and symbolic pattern. The thick cotton is ideal for fall nights and winter mornings when the temperature is cooler than usual, and this home accent makes a thoughtful gift for an anniversary or for newlyweds, unless of course you can’t bring yourself to part with it. Blue and cream cotton add a ticking stripe look to the back of your sofa, a chair or the top of your bed with our Freeport Ticking Stripe Throw. Proudly made in Maine, the luxurious cotton creates a gentle feel as you cozy up next to the fire or read the latest fall novel. 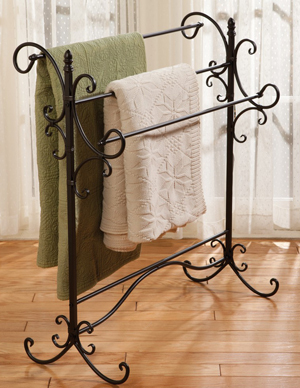 Like the Apothecary Quilted Throw, this blanket is part of a collection of larger sized blankets that can be used on your bed year-round. We wouldn’t be Sturbridge Yankee Workshop if we didn’t highlight something with country checks on it. 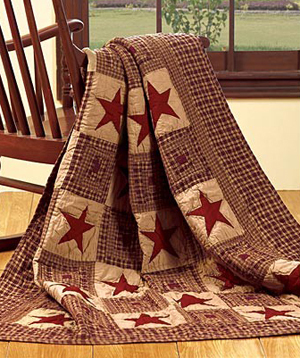 Enter: the Vintage Star Quilted Throw. The distinctive two-tone check exudes comfort and timeless charm, accented by primitive stars that complete the patchwork look. 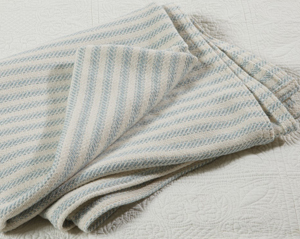 This soft cotton throw is ideal for getting cozy on the couch to watch a movie, or for taking an afternoon nap. 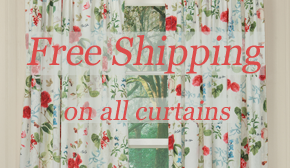 You can find the coordinating Quilt Collection here. While these throws are complementary of year-round decor, our fifth featured throw is perfect for fall decorating and relaxing. A basket of apples lies among tall grass, autumn leaves and gerbera daisies on the Apple Harvest Basket Throw. The burlap appearance adds to the natural charm of the imagery by artist Susan Winget, and the frayed edges create casual appeal for an entryway bench or couch in the family room. 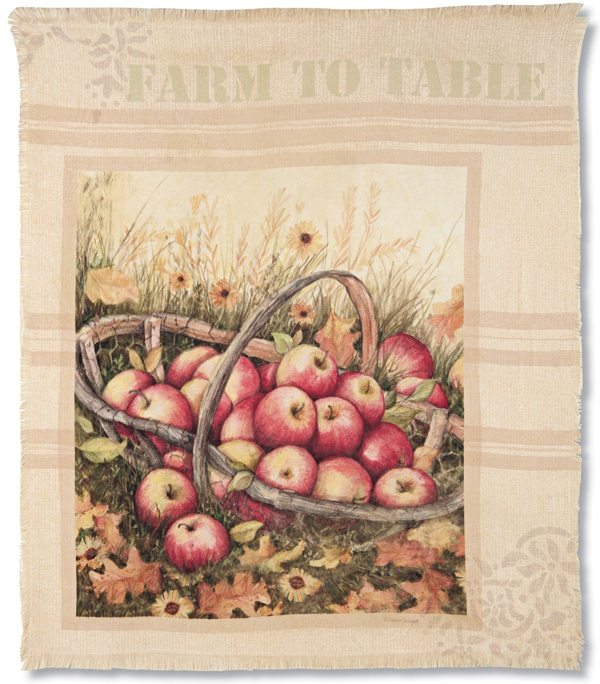 If you decorate with apples all year long, this throw is a must have. This entry was posted on Wednesday, October 5th, 2016 at 8:00 am	and is filed under Americana, Apartment, Bedroom, Decorating, Thematic, Weekly Spotlight. You can follow any responses to this entry through the RSS 2.0 feed. You can leave a response, or trackback from your own site.